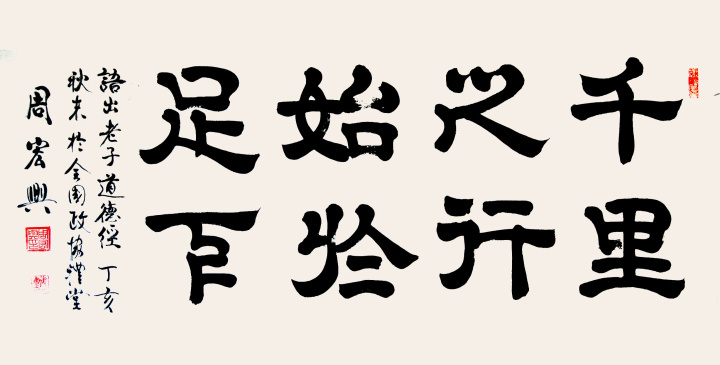 If it was us who would create the Chinese character to mean Thousand, what could be a logical choice of that? Recall that Oracle Script , Bronze Script and Seal Script of Hundred was created from an original meaning as "Keep talking". What will be the next milestone of a human being in her life then? To become independent and form her own family! In ancient China, our Chinese ancestors lived nomadic way of life, once a young man grew up, he would form his own family and move out for other fertile lands. Chinese ancestors then used "Move out" or "Move away", which is "千" to mean Thousand. So "千" contains an original meaning of "Move", but eventually it is only used to mean Thousand. Oracle Script added an indicator on the legs of a man , to mean "keep walking and moving forward", While it evolved to Clerical Script , it is already very close to what we write today "千". 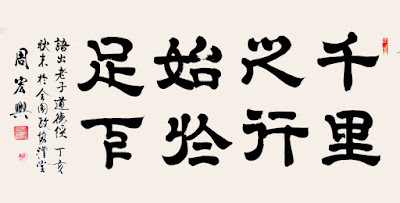 And again, please take a moment and think how would you create next Chinese character for meaning of "Ten Thousand"?